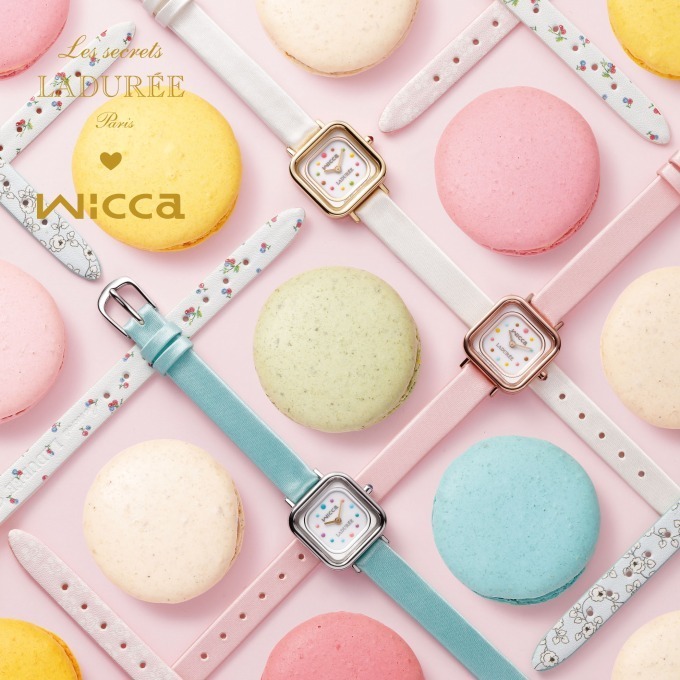 Sold exclusive in Japan, Wicca’s new collaboration with LADURÉE is inspired by the famous macaron from the French luxury sweet maker. The square case is shaped like a box full of macarons, and each index is inspired by the flavour of macaron. 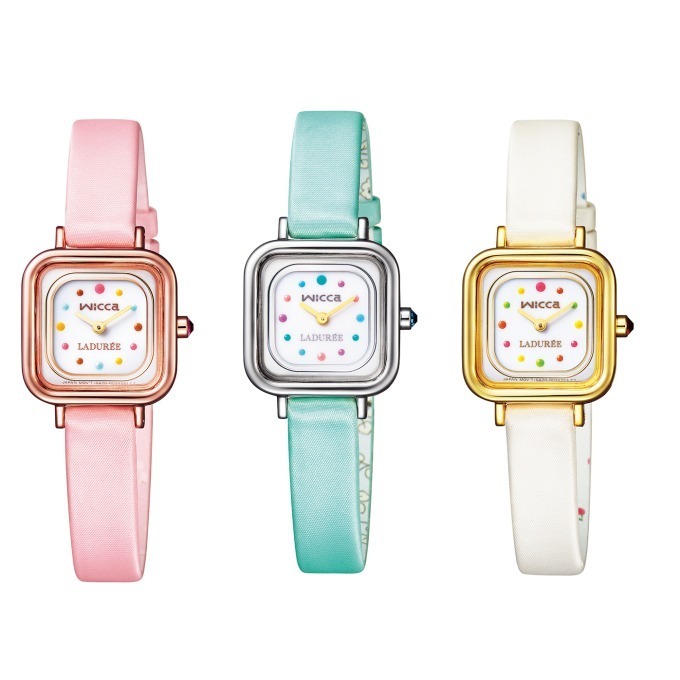 The watch band is made of elegant satin in 3 sweet colours – Red Framboise, Yellow Citron and Pistachio Green. Riding on quartz movement and solar technology of the Citizen – the renowned Japanese watch brand, these watches are functional as well as fashionable. Pick one for yourself from Wicca’s webstore. Don’t forget to sign up with us and get access to our Japan warehouse.